Austin-Healeys and Minis plus bucket loads of ex-Works drivers and personnel! 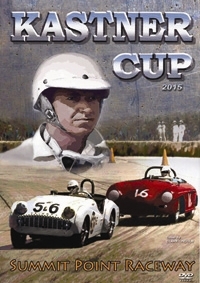 Check out the KASTNER CUP page for the full details, stills from the film and a preview trailer. The best vintage racing film of all time? We hope so! "TR7 Still Sporty At Forty" and "Triumph At The Nurburgring" are reviewed in the current issue of Triumph World magazine and reproduced here with permission. Check the TR7 40 page and Triumph At The Nurburgring pages for full details of each of these recent releases. The new double disc is in stock now. Check the TR7 40 page for full details. 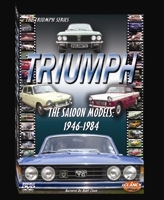 We will be concluding filming for the new Triumph DVD at the NEC Classic Motor Show in mid-November. 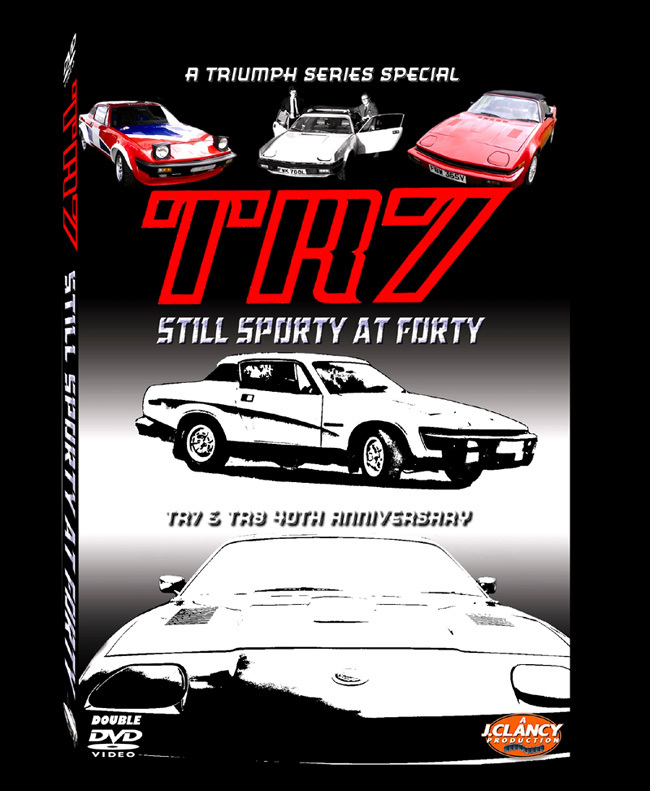 This is a production covering the TR7 40th anniversary celebrations in England and the USA. The Triumph Wedge Owners Association and TR Drivers Club cars and owners are out in force in this one as are the ex-Triumph staff who made these cars a reality back in the day. Extensive talk with Harris Mann hosted by Graham Robson in America to be included in full on disc 2. Expected to be released before the end of November. More details to follow shortly. 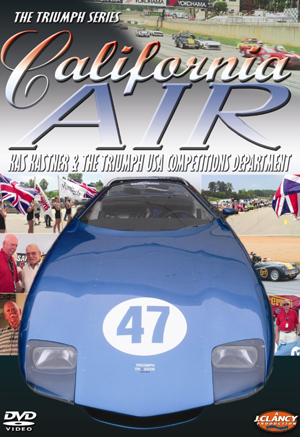 Another fabulous British sports car is covered in the latest documentary from TriumphDVD. This time it is the Sunbeam Tiger from the Rootes Group who were also based in Coventry. 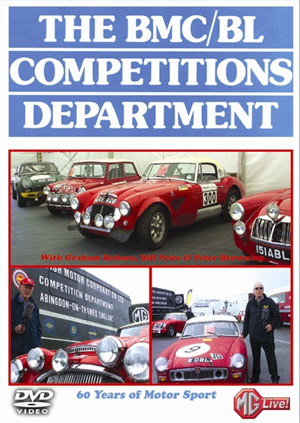 Our own Graham Robson hosts this historic review of these mighty V8 sports cars, full details of which can be seen HERE. Deliveries are expected 13th October 2014. The latest Triumph DVD will be released tomorrow. 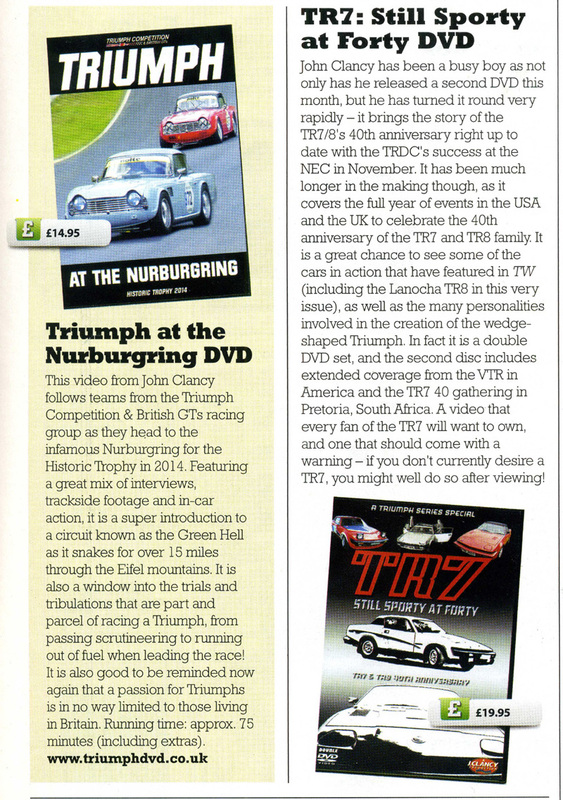 This features the Triumph Competition racing class as they compete on the treacherous Nordschleife at the Nurburgring. 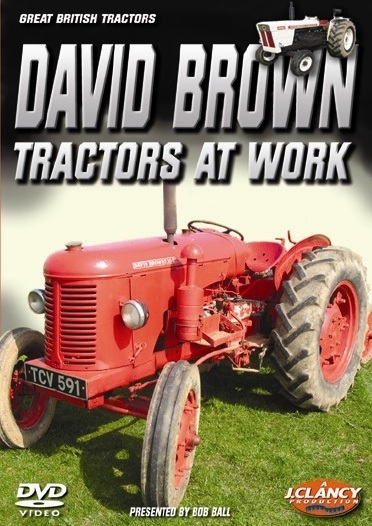 The latest in the 'Tractors At Work' series of DVDs is now completed and ready to purchase. Pre-orders have already been shipped and the discs only arrived with us yesterday! wedge shaped sports cars the TR7 and TR8 has been in production for some time. of Vernon Brannon and this will be seen in full in the finished production. Below is Ken being reunited with his car for the first time since he sold it to Vernon back in 1993. 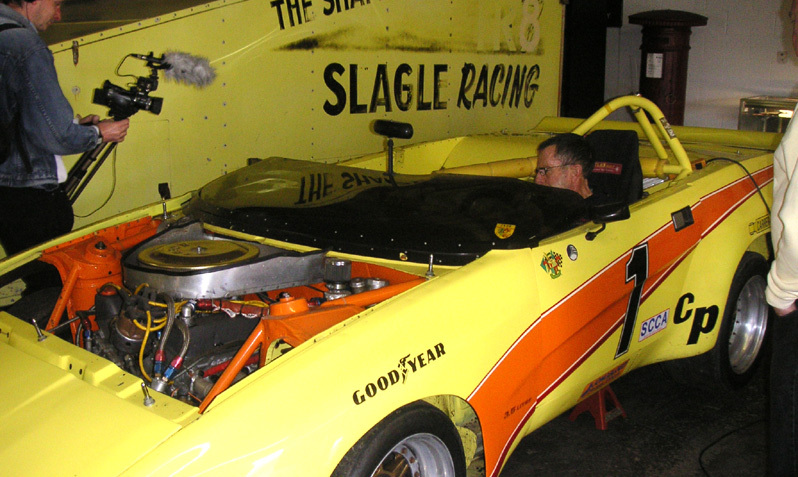 Below is a documentary we created for the Stag Owners Club to promote the cars and the club. personnel so very similar in format to our DVD releases. arrived and all pre-orders will be shipped tomorrow, Wednesday 31st October - Happy Halloween! 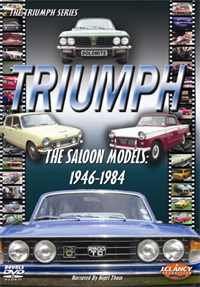 18th October 2012 - 'TRIUMPH: THE SALOON MODELS 1946-1984' has been held up at the labs. We are now told they are aiming for delivery Friday 26th October. This delay was totally unexpected but we promise the end product will be worth the wait. and available in early October. Full details and a preview trailer can be seen here. will be available in the next few days. You can see all the details HERE. 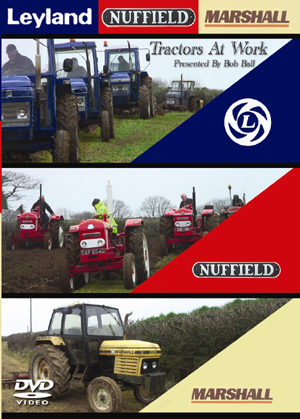 17th April 2012 - 'FORD & FORDSON TRACTORS AT WORK' NOW AVAILABLE! The latest tractor DVD is now for sale. See the FORD & FORDSON PAGE for full details. Thanks to some persuasion from the Triumph Wedge Owners Association in the US the first ever Triumph DVD is now available in NTSC format. Anyone ordering from an NTSC area will automatically be sent an NTSC disc unless we are advised otherwise. 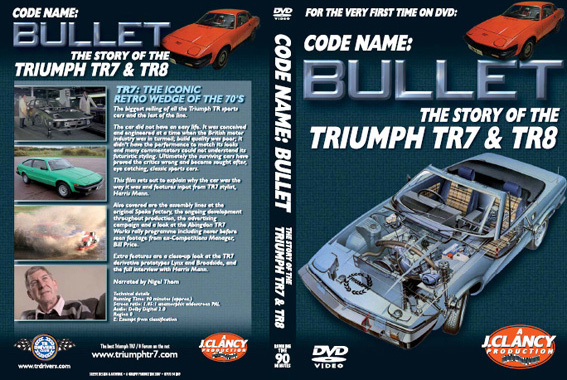 The Bullet DVD can be ordered via the BULLET PAGE and also available from the TWOA (Triumph Wedge Owners Assocation, USA) and many other Triumph dealers and clubs. 17th October 2011 - 'FIFTY YEARS OF THE MINI COOPER' BACK FROM THE LABS! This groundbreaking double disc DVD release containing well over 3 hours of Mini action, entertainment and information is now ready to purchase. For full details and ordering click on this LINK. 24th October 2011 TRIUMPHS USA - AT THE VTR NATIONAL CONVENTION 2011 is expected in the next few days. Full details and ordering can be found on the TRIUMPHS USA page. 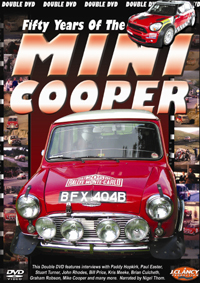 full details and to order go to the FIFTY YEARS OF THE MINI COOPER page. Colorado in September with the intention of producing a DVD of the entire event. we can commence editing a fine souvenir of this wonderful Triumph gathering. last details and get the master discs off to APR Media/Sony Labs for glass pressing. production on Britain's most successful production car. weekend of the club in June 2011 at the stunning location of Ragley Hall in Warwickshire. 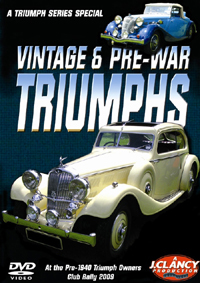 worthwhile addition to the growing range of titles available from TriumphDVD. 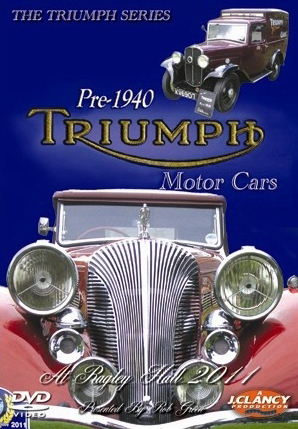 For more information and how to purchase go to the Pre-War Triumphs page. information and how to purchase go to the David Brown Tractors At Work page. major sections devoted to the Dolomite and 2000/2.5 ranges. thanks to the help of ex-works team personnel. 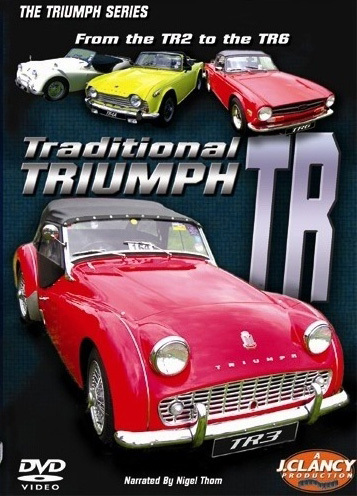 The Traditional Triumph TR page. 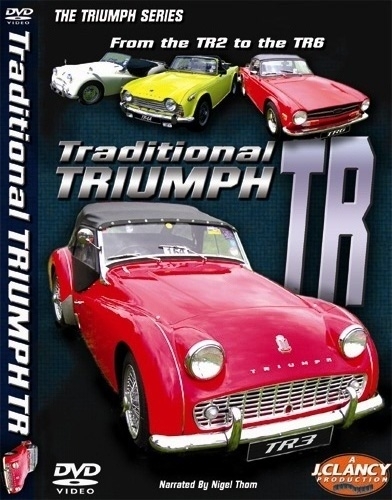 The latest in the Triumph DVD line is here with this Triumph DVD Special. The Standard Marque page for all the details and how to purchase. we shall film to help move the story along. 23rd September 2009 - SPITFIRE/GT6 DVD - "CODE NAME: BOMB"
7th September 2009 - SPITFIRE/GT6 DVD - "CODE NAME: BOMB"
'Bomb' has now been sent to APR Media to have it pressed at Sony Labs. This process takes about 4 weeks so the target October release date looks certain to be met. We take a trip to Rockingham Castle for an outstanding turnout of Pre-1940 Triumphs ranging from a 1928 Fifteen up to the last of the line 1940 Dolomite Roadster. Enjoy the sights and sounds of these wonderful vehicles as we go back to a time when the Triumph Motor Company produced ‘The Finest Cars In the Land’. Meet some of the owners and see the concours awards showing perhaps the best example of each model anywhere in the world today. 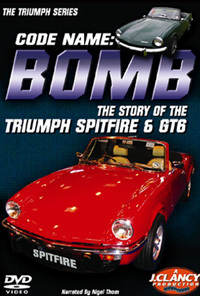 13th May 2009 - SPITFIRE/GT6 DVD - "CODE NAME: BOMB"
Expected release date for this DVD is October 2009. The production is now in full swing and looking very good. 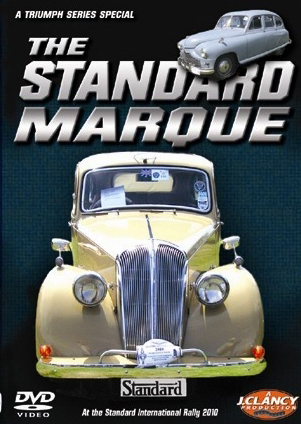 This will feature input from a wealth of former Standard-Triumph engineers and stylists making it a worthwhile addition for anyone at all interested in the history of our favourite marque. Expected release date for this release is 16th October 2008. The DVD can be ordered HERE. This has now been dispatched for pressing. Hopefully the finished discs will be back and available in about a month's time. 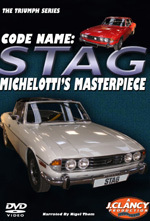 Click HERE to go to the Code Name: Stag DVD page where you will find a 2 minute trailer, stills and a wealth of additional information including a complete listing of what is to be included on the double disc DVD set. 4th August 2008 - 'FOUR SEASONS ON TREWINT FARM' released and now available. Click HERE for more information about this DVD. 5th April 2008 - 'CODE NAME: BULLET'. One year after its original release and 'Bullet' has sold out - a re-pressing has resulted and new stocks are available now. For more information click HERE .